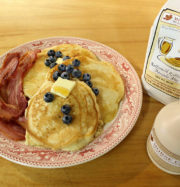 Grade A Dark Maple Syrup, Robust Taste is a darker, amber colored Maple syrup with robust taste. It contains stronger, more pronounced flavors. 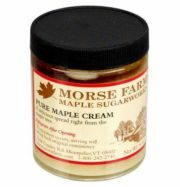 Since syrup tends to darken as the sugaring season progresses, Grade A Dark Maple Syrup, Robust Taste is typically harvested later in the season.With a stronger, more robust and full maple flavor it works well in sauces like barbeque sauce or as a glaze over meats.